Helen Dunmore (1952-2017) was the second of four children, her father the eldest of twelve. As she said herself "In a large family you hear a great many stories," a grounding which influenced her career as a writer of both poetry and fiction. She studied English at York University and then taught for two years in Finland. She began to publish poetry and give readings in her early twenties. Her debut collection, The Apple Fall, was one of the first titles published by Bloodaxe Books. Her second, The Sea Skater, won the Alice Hunt Bartlett Award. Her fiction career began with short stories before her first novel was published in 1994. Zennor in Darkness, set during the First World War when D H Lawrence lived at Zennor in Cornwall, won the McKitterick Prize. Since then Dunmore has become one of our most acclaimed literary figures, winning many prizes including the inaugural Orange Prize for Fiction and The Signal Poetry Award for children's poetry. Her eight collections for adults have been given the Poetry Book Society Choice and Recommendations and Bestiary was shortlisted for the T S Eliot prize. She was a fellow of the Royal Society for Literature. In Dunmore's poems thought and feeling find expression in language that "is delicate, exact, surprising" (Sean O'Brien, Ruth Padel, PBS Bulletin). The sensual power of language has remained a hallmark, as in her early poem, 'Wild Strawberries': "a dark handful, sweet-edged/...pulpless, sliding to juice,//a grainy rub on the tongue." While some of her poems read as compressed narratives, other more public concerns run through her work. Her alertness to the beauty of the natural world, for instance, is combined with an awareness of the threats it faces: from concerns about what constitutes 'the natural' in The Raw Garden (Bloodaxe, 1988) to Glad of These Times, with the title poem's image of "motherly" JCBs "widening the packed motorway." A fascination for history is also evident across the different genres Dunmore works in, the way "The past is something we can't really know and yet we want to memorialise it." (Dunmore, Bloodaxe website). The intersection of world events and the individual informs poems like 'Heimat' and 'Poem on the Obliteration of 100,000 Iraqi Soldiers', a reminder of the human cost behind statistics. Her early encounter with ballads, hymns and fairy tales can be heard in the music of her poems, particularly in their skilful use of repetition. This consistent characteristic can impart an incantatory quality. Elsewhere, ballad and folklore haunt narratives recast in the light of female experience, such as 'The butcher's daughter' and 'I owned a woman once'. 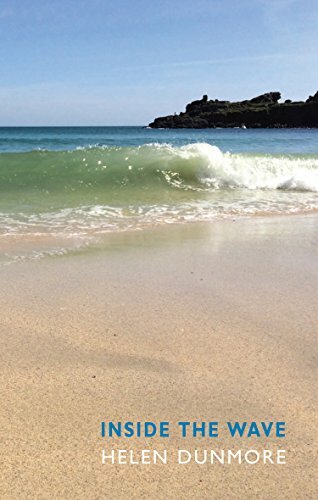 These qualities make for beguiling listening; even when the subject matter is at its darkest, Dunmore's unadorned reading style provides a clear medium through which the rhythms of her poems shine.